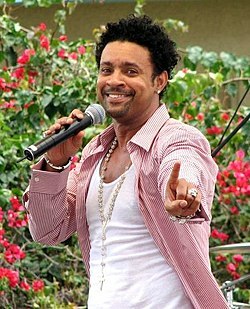 Shaggy's song "It Wasn't Me" always got on my nerves as a teen. I loved the singer but the song made such a fool out of both the speaker and his girlfriend that it really irritated me. She saw you, man! It was you! Well, now that Shaggy is finally admitting that it was, in fact, him all along (which makes it much more fun and hilarious), we have a new Trump parody to enjoy as well. A parody on the entire Mueller investigation, the song features the actual Shaggy along with James Corden and it's fabulous. If you haven't seen it yet, you have to click over and watch it. Maybe it will help ease the solid pit of despair and hopelessness that's sat in your stomach stagnantly for over a year now. If not, look up Emma Gonzalez's Twitter feed and maybe that will help you feel inspired to keep at it. What did you think of the parody? Share your thoughts in the chat.